While at the dry cleaner one day, Rob's iPhone was stolen. He immediately chalked it up as gone forever, and proceeded to purchase a brand new one that same evening. It was the next day when unfamiliar contacts began to appear on the new phone. The (not-too-bright) thief was unwittingly supplying him with names and phone numbers of his or her closest friends, via the magic of MobileMe synchronization from the stolen phone to the cloud and eventually to his new phone. 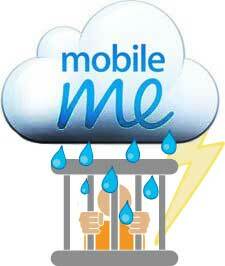 "It didn't take long for me to realize that MobileMe was leading me right to the thief!" wrote Rob. Thanks to the fact that he caught on to it before he'd had time to remotely disconnect his account, MobileMe provided the groundwork for a little social engineering. Rob made quick work of wrangling a name and phone number from the provided contacts, supplying the police with everything they needed to get Rob his phone back. By the end of the night, he had his original iPhone in his possession. There you have it, a MobileMe success story! Sure, this doesn't make up for the problems which have plagued MobileMe, but it's a great story. The recovered phone is "pretty much brand new," according to Rob, and is currently up for auction on ebay. Thanks for sending this in, Rob! TUAWiPhone thief thwarted by MobileMe sync originally appeared on The Unofficial Apple Weblog (TUAW) on Wed, 17 Dec 2008 21:30:00 EST. Please see our terms for use of feeds. December 17, 2008 by Ben Pike.